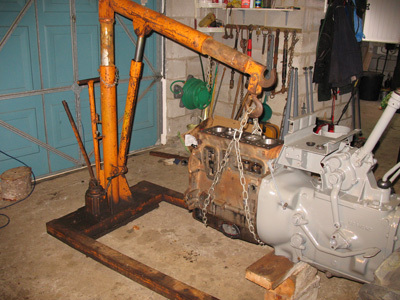 The engine block is now re-assembled. 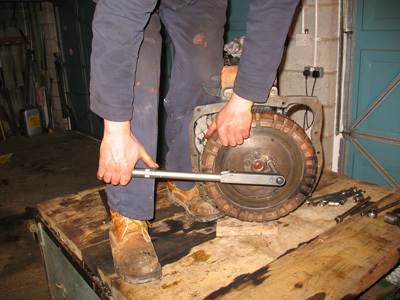 The clutch plate has been replaced, has been bolted back to the flywheel and set-up. The engine block and clutch has been re-attached to the back end and painted. 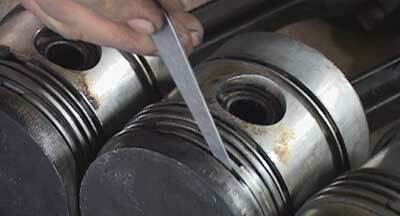 All the tappets have been properly adjusted and the first stages of the timing operation have been performed. 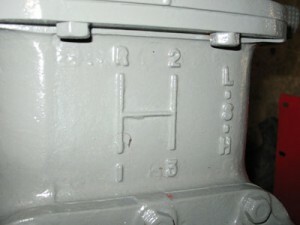 This final photograph below shows the gear selection information cast into the gearbox top. 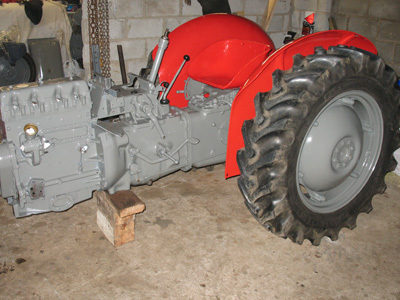 It is in remarkably good condition for a tractor of this age, as most are worn down by footfall over the top of the gearbox. 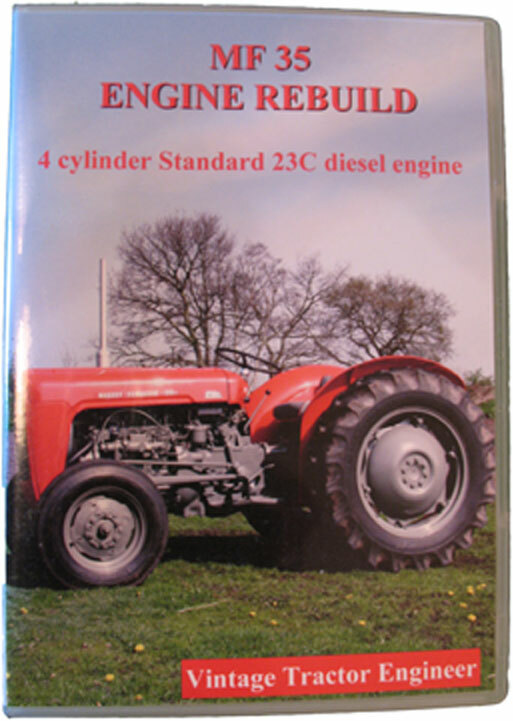 Read Engine Rebuild – Fully Restored. 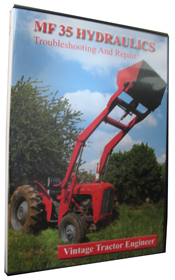 See the finished MF35 engine repair DVD video. How do you time the chain up we are struggling to find the timing marks.